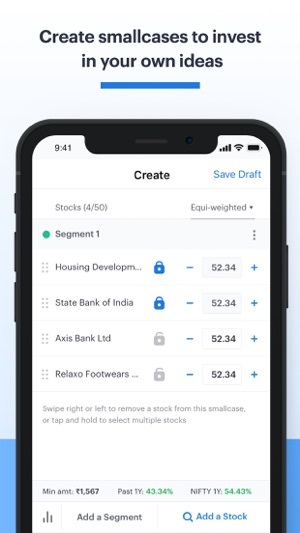 smallcase is a simple & easy way to invest in ready-made stock portfolios. 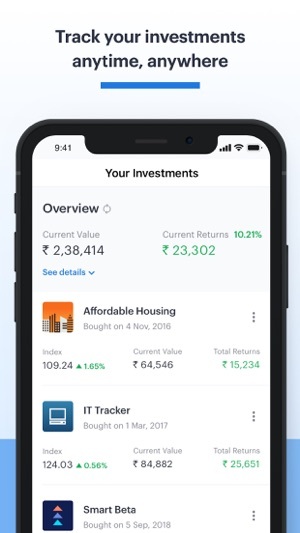 Join our community of over 2,00,000+ investors by logging in with your Zerodha app (kite) account. Whether you are a new investor, a Mutual Fund investor or a share market trader, there is a smallcase for everyone. 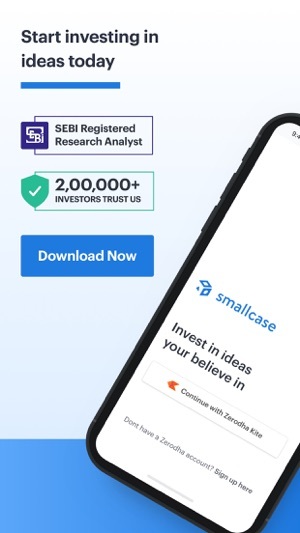 Download the smallcase app and get started with investing in the Indian share market. 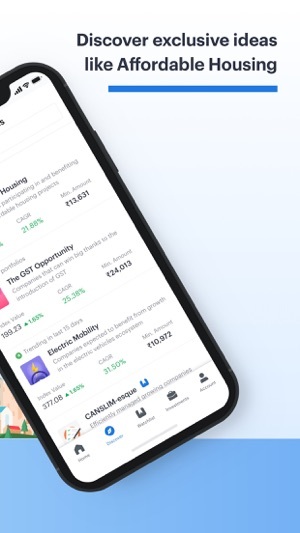 Choose from several intelligently-weighted portfolios of stocks/shares & ETFs (smallcases) that reflect trending market themes, ideas & strategies. 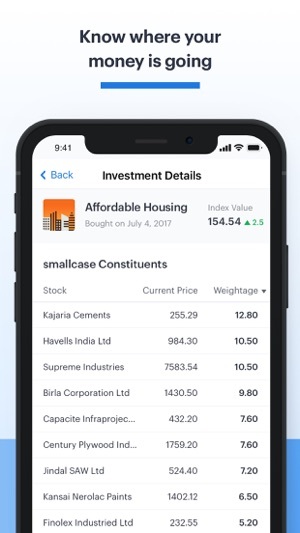 In just 2 clicks, smallcase is the easiest way to buy a portfolio of stocks and track & manage it separately from your other holdings. Buy smallcases based on ideas you believe in & are bullish on. See how your smallcases are performing with index values set for each smallcase. 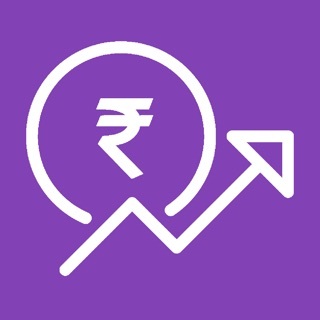 Invest more, start a Systematic investment plan (SIP), rebalance, exit, add or remove stocks in 2 clicks while on the move. 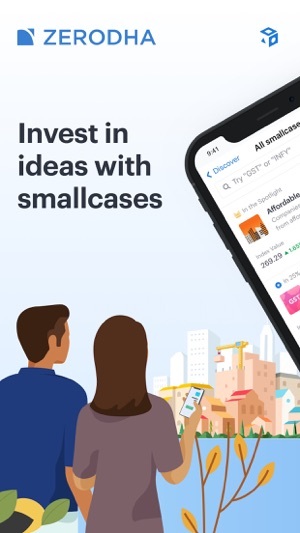 To get help, visit the smallcase Help Center at http://zerodha-help.smallcase.com. Write to us at support@smallcase.com. - It's getting see-rious! Introducing a 'Max’ option in smallcase performance graph. Now, you can see all available historical for a smallcase. - We care for your ideas. You can now create a smallcase or customize a saved draft.